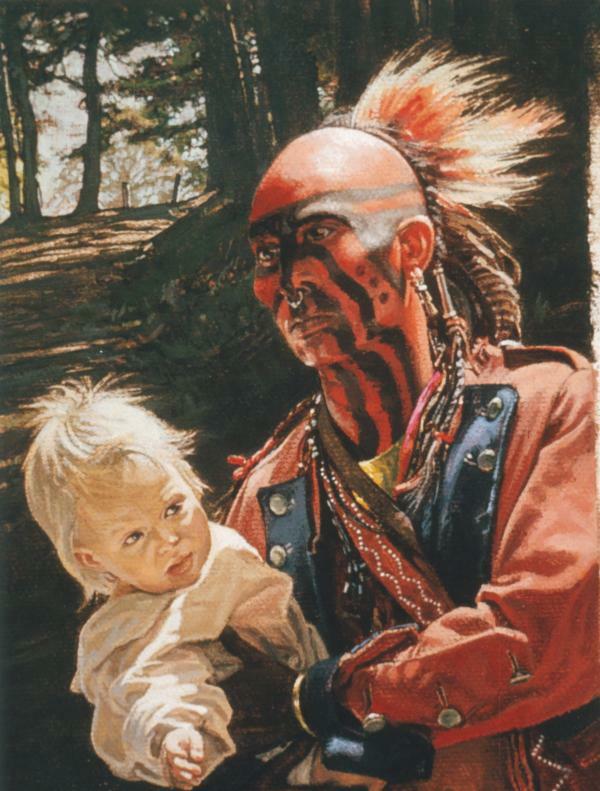 John Buxton's modern depiction of an Indian warrior with a child captive gets many details right. The warrior is painted for war and wears a regimental coat that may be a trophy from an earlier battle. The child he carries is a valuable prize: it may be ransomed back to colonial agents or adopted into the warrior's family to replace a lost loved one.